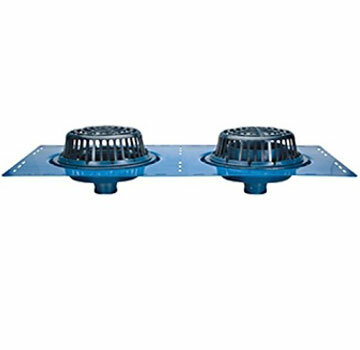 PRODUCT: ZURN Z163 15" COMBINATION ROOF DRAIN AND OVERFLOW, CAST IRON DOME, NO-HUB 6" OUTLET. PRICE/EACH. ZURN Z163 15" diameter roof drain and overflow drain. Domes: Poly Dome, Aluminum Dome, Cast Iron Dome, and Bronze dome. Outlets: inside caulk, threaded, no-hub, Neo-Loc.